What's red and black with yellow all over? Ladybugs, aka lady beetles or ladybird beetles, laying their yellow eggs. It's a sure sign of spring when aphids emerge, and ladybugs feast on them. 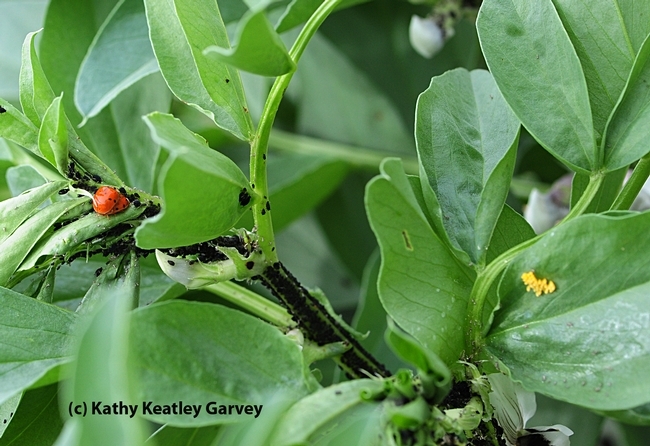 One ladybug can reportedly eat 5000 aphids in its lifetime. That's a lot of aphids! 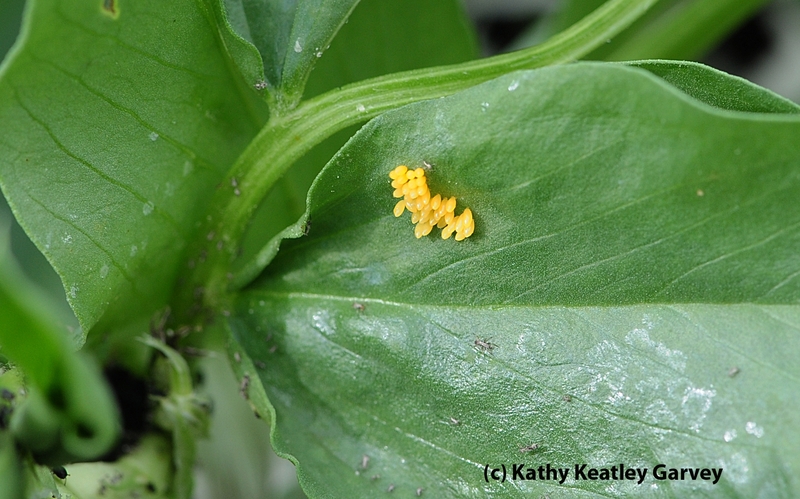 Meanwhile, the aphids in the fava beans at the Häagen-Dazs Honey Bee Haven, a half-acre bee friendly garden on Bee Biology Road, University of California, Davis, are doing their part. The garden, located next to the Harry H. Laidlaw Jr. Honey Bee Research Facility, is teeming with aphids on the fava beans. And teaming with ladybugs in the process of adding more ladybugs to the garden. 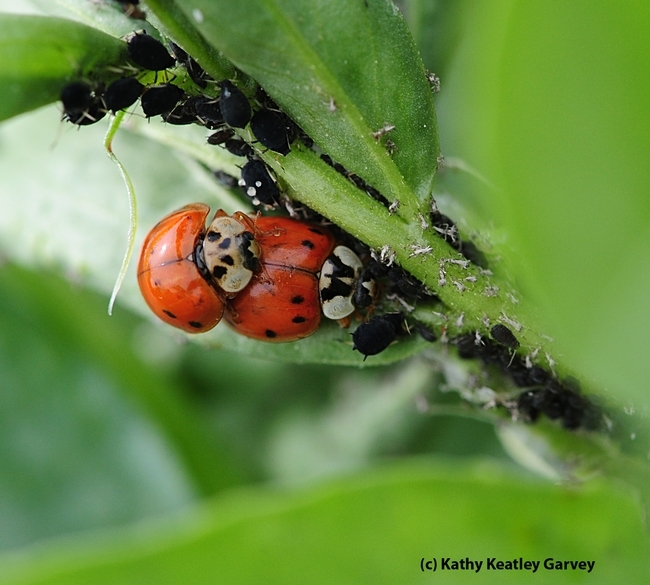 If you're looking to get involved with ladybugs as a citizen scientist, Cornell University, Ithaca, N.Y., hosts "The Lost Ladybug Project" to spotlight the ladybugs of North America. On the website, you can learn to identify them, understand their biology, and upload photos. And it wouldn't hurt to include a photo of a ladybug dining on a scumptious aphid.